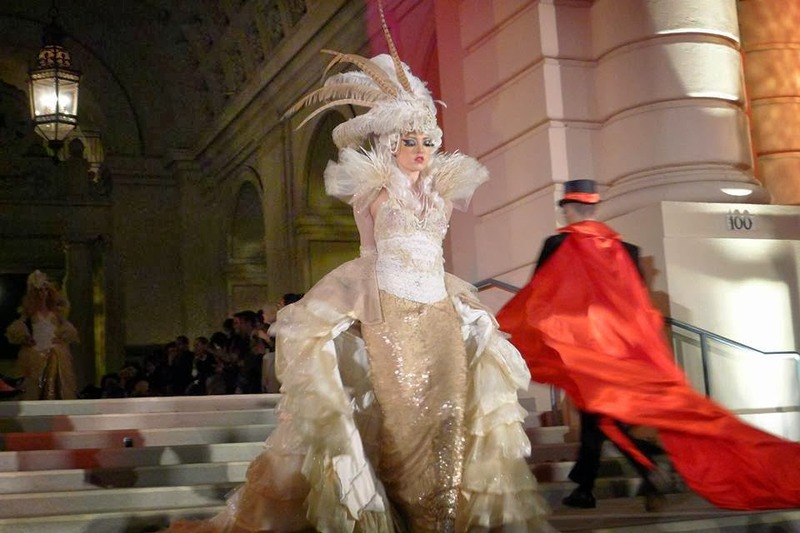 Originally based in Seattle, the fine folks at Metropolitan Fashion Week brought their extravagant affair to Pasadena, CA. for the first time. A series of events were scheduled for the week; thus, leading up to the closing gala. For starters there was the Wine and Canvas event. Dubbed Canvas Project 2013 the occasion brought together artists and designers. The designers—Uriel Saenz, Monica Kitchen, Olga Swed, Deyonte Weather, and Mabel Obeng—each created a dress made out of white canvas and the artists painted something beautiful on it. The artistic collaborations would then be unveiled at the finale runway show. Up-and-coming designer/FIDM student Dawn Nguyen also participated in the event and she partnered with artist Jaime Lim to bring her vision to life. 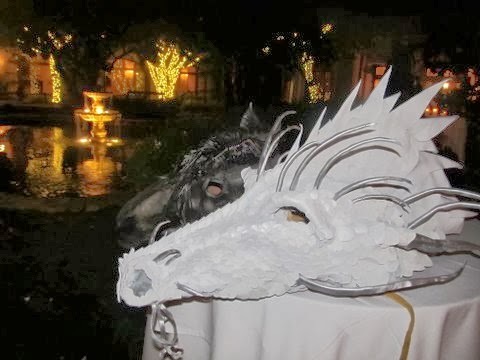 On Thursday the lovely ladies at Lean Goddess hosted a meet and greet at the Langham Huntington in Pasadena. It gave us an opportunity to talk to the designers and view some select looks before the big show. Artist/designer Swig Miller brought some of his leather masks for display. A number of fashionable folks showed up for this grand event, which featured 15 designers from all over the world. 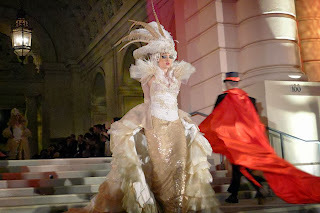 150 looks representing Avant-Garde, Period Time, Fantasy, Sci-Fi, and Contemporary were presented. Glee’s Becca Tobin showed off her lovely dress made by Rocky Gathercole. 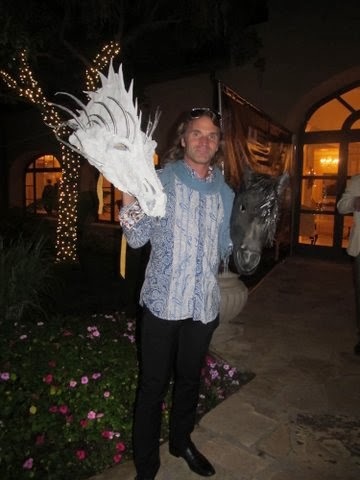 In addition to Rocky, Swig, Laura, and the Canvas Project designers other participants included: Marzia Paparini, Sean Purucker, Marika Soderlund-Robinson, Niveen Heaton, Elevee Lifestyle, Ricardo Soltero, Adan Terriquez, Milagros Lugo, and Masi Payan. Unfortunately, unbeknown to me at the time, my camera died during the presentation, so I was greatly disappointed to find that none of my runway shots came out. 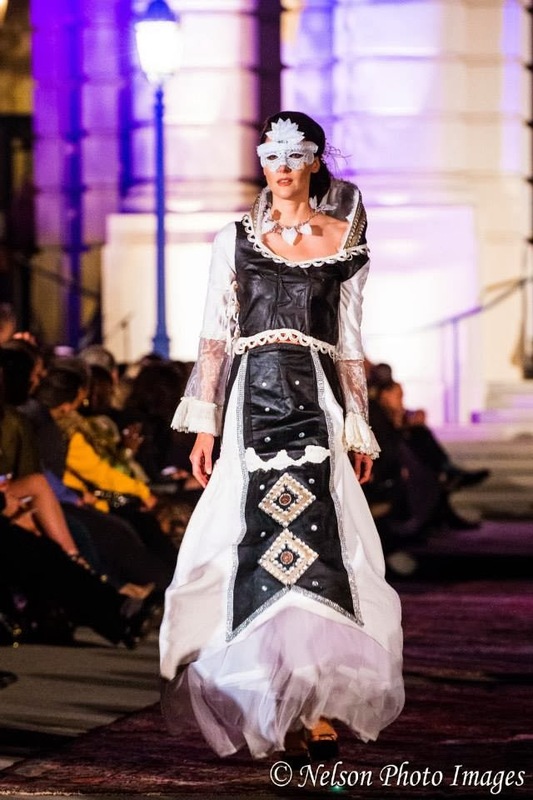 However, if you’re free on Sunday, November 3rd, (4 p.m. – 7 p.m.) you can view some of the designs (including the Canvas Project dresses) at a special reception being held at Louis Jane Studio (93 E Union St. Pasadena.) 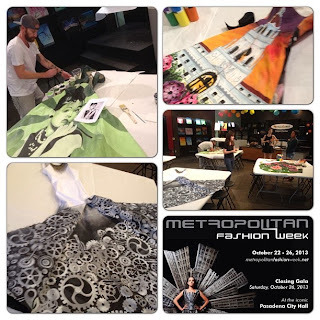 RSVP to info@metropolitanfashionweek. 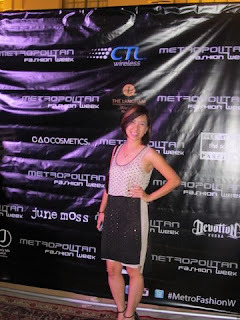 You can also visit Metropolitan Fashion Week’s Facebook page.